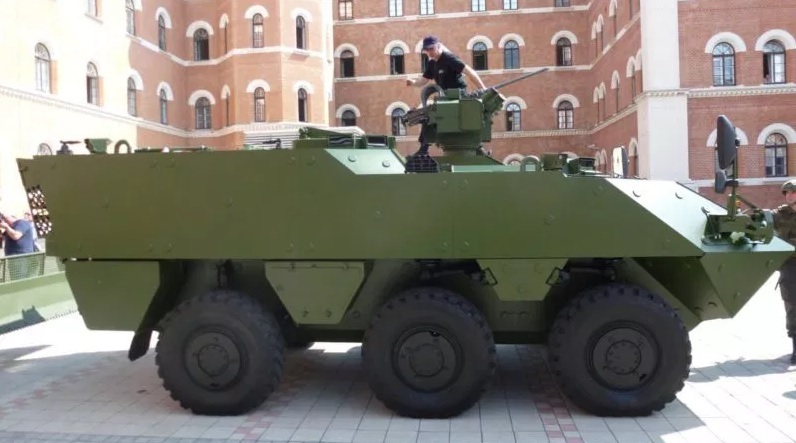 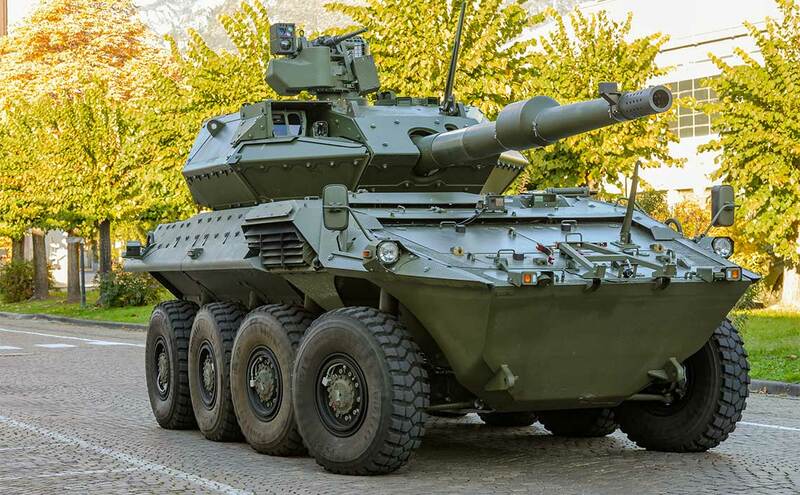 Italian Consortium CIO (Consorzio Iveco-Oto Melara - created by a group company Iveco and Leonardo-Finmeccanica - previously Oto Melara, which is part of the latter) unveiled a high-quality official photos of the first prototype of a new wheeled armored vehicle gun Centauro II MGS 120/105, developed for the Italian Army. 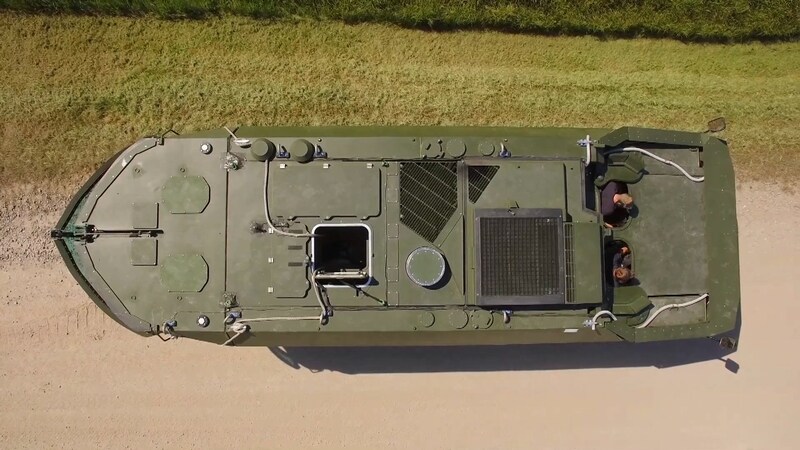 According to US media reports, October 27, 2016 the US Army was officially handed over to General Dynamics Corporation manufactured the first prototype of the modernized machine the Stryker wheeled armored, equipped combat unit with a 30-mm automatic cannon. 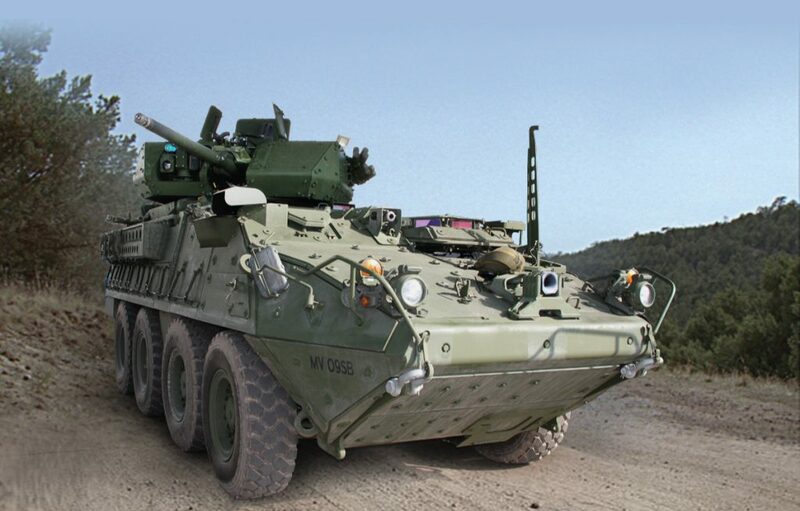 The transfer was made at the company General Dynamics Land Systems Maneuver Collaboration Center in Sterling Heights (Michigan). 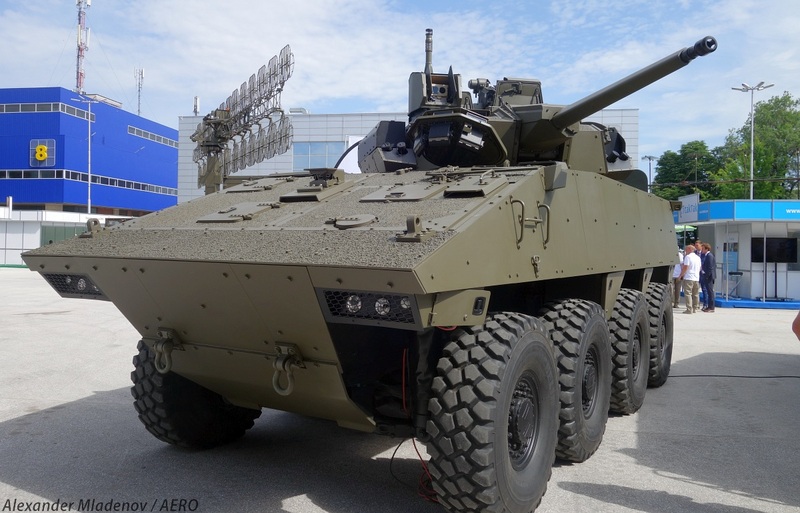 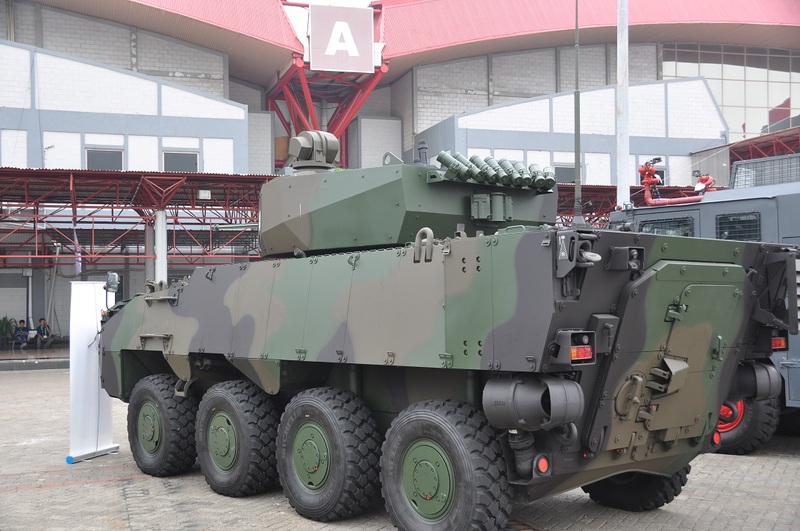 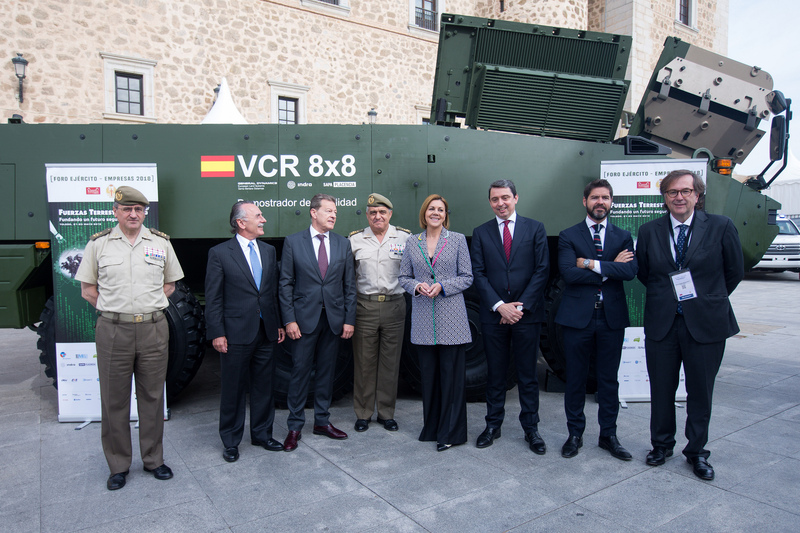 At the Spanish military industrial conference Fuerzas Terrestres 2035, which was held in Toledo from May 21 to 23, 2018, dedicated to the prospects for the development of the ground forces of Spain until 2035, among other things, the first prototype demonstrator of the planned army Spain armored personnel carrier VCR (Vehículo de Combate sobre Ruedas) with the wheel formula 8x8. 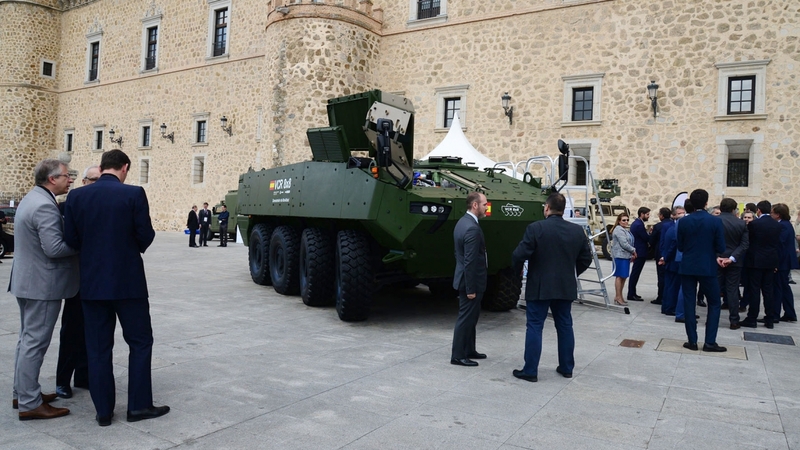 The car was presented by the Spanish branch of the corporation General Dynamics, Santa Bárbara Sistemas, in partnership with the Spanish companies Indra and SAPA, and is a localized version of the Piranha V armored vehicle developed by another European asset General Dynamics - owned by the last Swiss company Mowag. 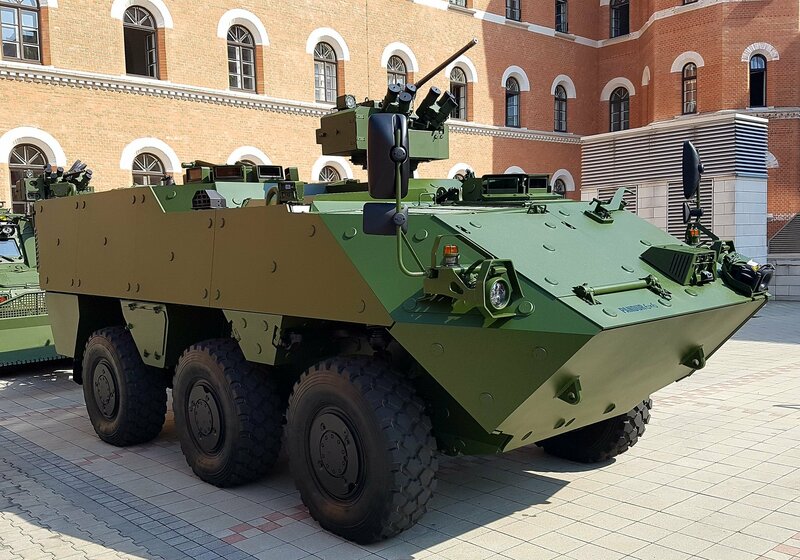 Nexter Systems VBCI armored personnel carrier with the Nexter Systems T40 two-person tower with a 40 CTAS 40mm automatic gun, developed by CTA International. 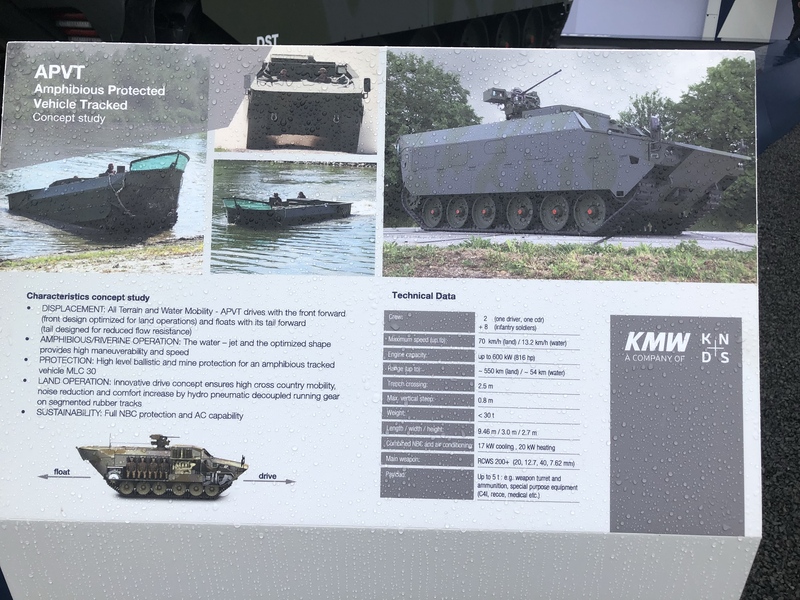 General Dynamics European Land Systems armored personnel carrier Mowag Piranha V with the Israeli Elbit Systems unmanned combat module UT30MK2 which includes the 30mm automatic gun Orbital ATK Bushmaster Mk 44. 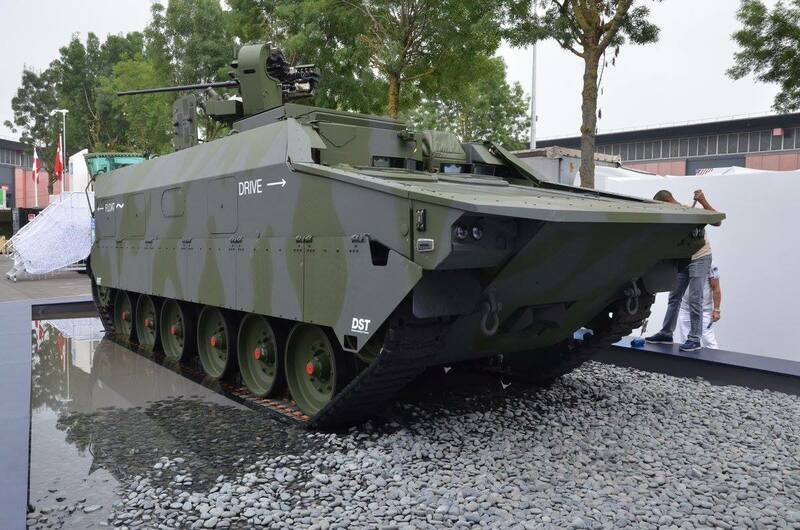 The first armored personnel carrier Pandur EVO by General Dynamics European Land Systems - Steyr-Daimler-Puch Spezialfahrzeug GmbH (GDELS-Steyr, Austrian subsidiary of General Dynamics). 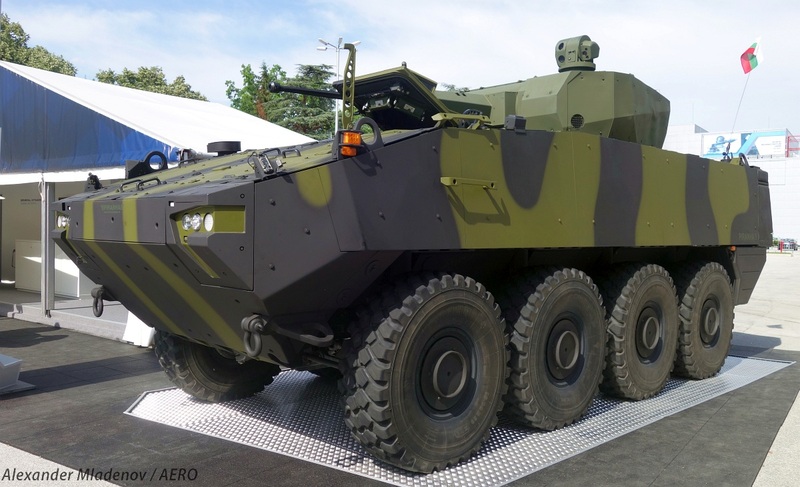 Pandur EVO compared to the Pandur I has increased weight, increased protection and an engine with a capacity of 455 hp. 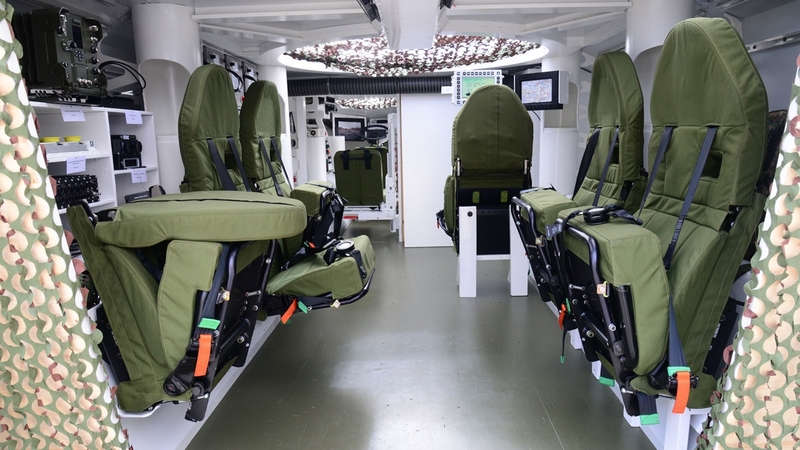 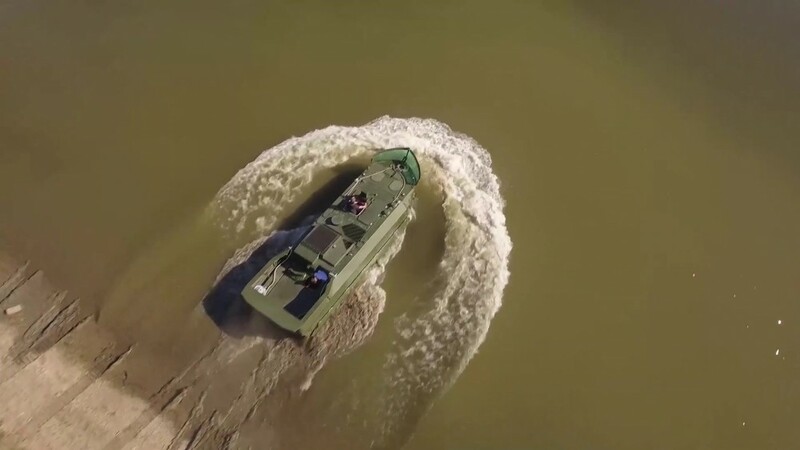 The capacity of the Pandur EVO is 12 people, including three crew members. 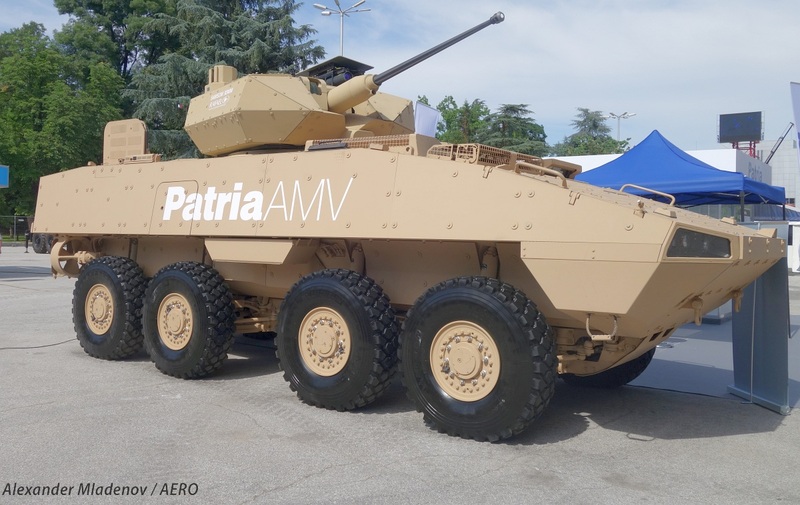 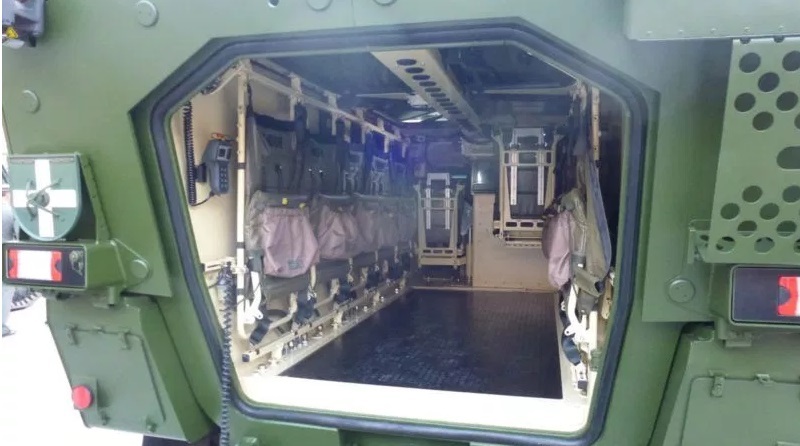 The machines must be equipped with a remotely controlled WS4 Panther combat module with a 12.7 mm M2NV machine gun and a 7.62 mm MG74 machine gun supplied by ESL Advanced Information Technology (ESLAIT) GmbH, an Austrian subsidiary of the Israeli company Elbit Systems. 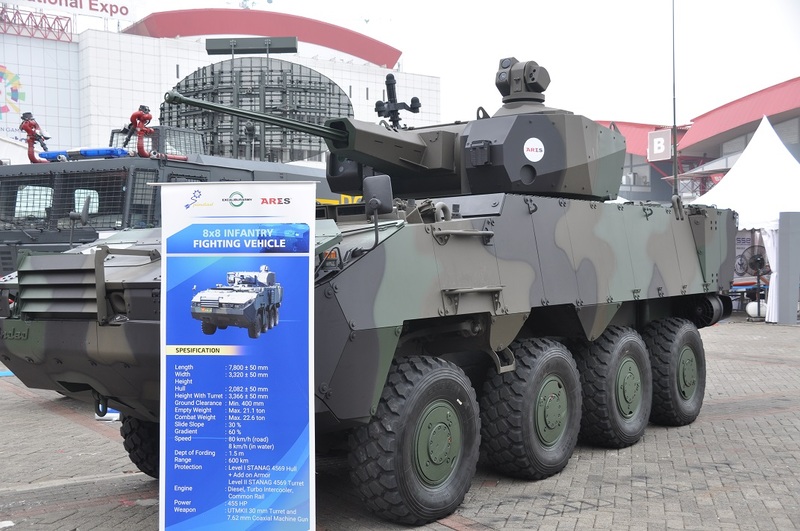 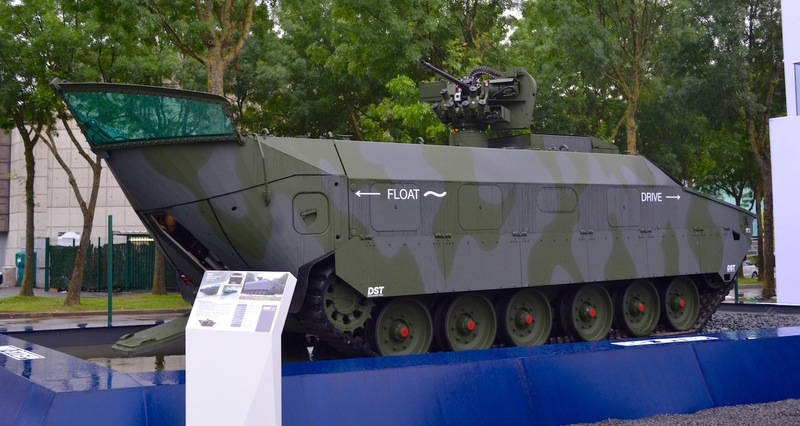 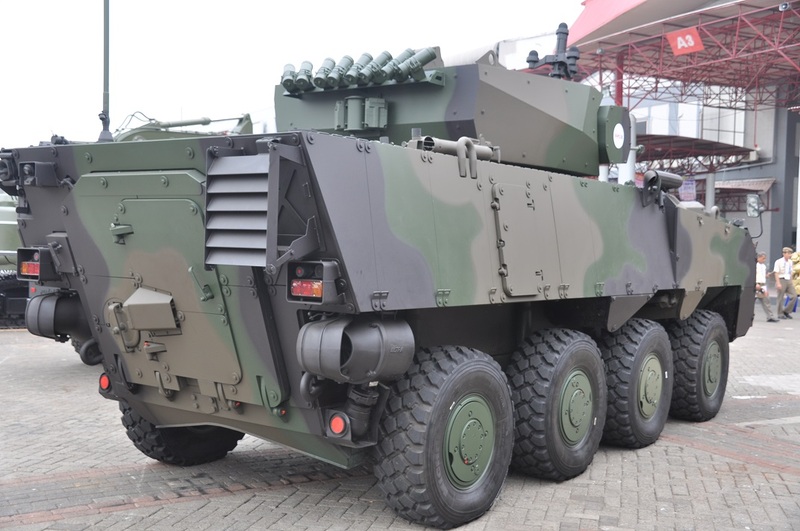 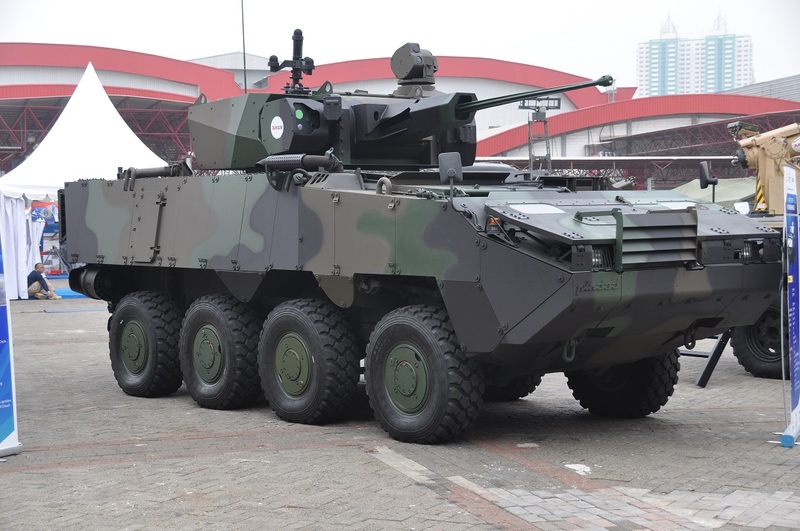 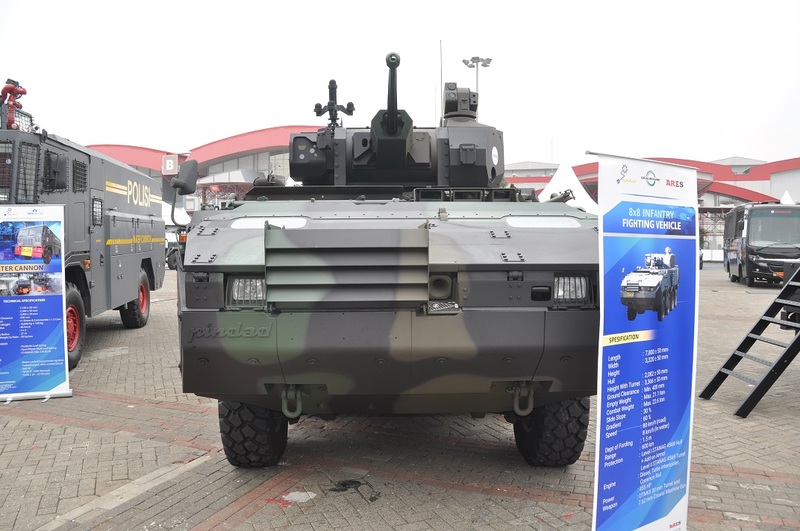 Presented by the Indonesian State Defense Industry Association PT Pindad (Persero) in partnership with the Czech Czechoslovak Group (GSG) Pandur II armored vehicle (armored personnel carrier) with an 8x8 wheel formula, equipped with an Israeli remotely controlled uninhabited combat module Ares / Elbit Systems UT30MK II with a 30mm Northrop Grumman ATK Bushmaster Mk 44 automatic cannon and a paired 7.62mm machine gun.